Woo-hoooo! Tickets go on sale TODAY at 9 a.m., mamas. The actual performance will be Sunday, June 17th at the AMP (which is temporarily located at the Washington County Fairgrounds.) Don’t waste any time snagging your tickets because we’re betting they’ll sell out quickly. 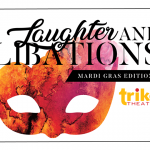 To call and order tickets, call the Walton Arts Center Box Office at 479-443-5600. Or you can click HERE to get ticket info and order online. Tickets range in price from $22 to $77. Colbie Caillat first grabbed our attention with her 2007 hit song “Bubbly”. It became one of the best-selling digital tracks of all time. Her second album in 2009 made it to the top of the charts and also earned two Grammy nominations. That same year, Colbie also won two Grammys for collaborations she did with Jason Mraz and Taylor Swift. 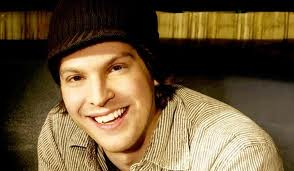 Gavin DeGraw hit the music scene in 2003. His first album went platinum, selling over a million copies and producing three hit singles. His second album in 2008 debuted at No. 1 on the digital sales chart and produced two more hit singles. Walton Arts Center Broadway Subscriptions on Sale!